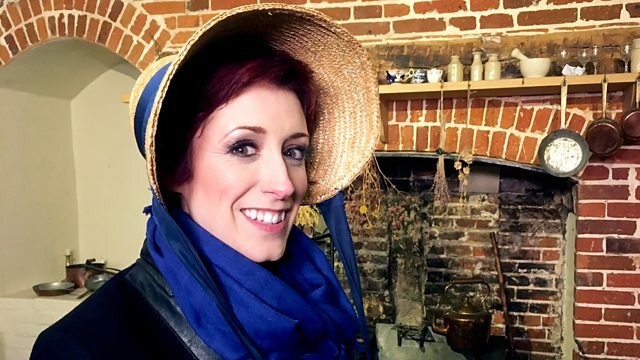 It's the 200th anniversary of the death of Jane Austen, and Connie Fisher visits the Hampshire house where the celebrated romantic novelist lived. It's the 200th anniversary of the death of Jane Austen, and Connie Fisher visits the Hampshire house where the celebrated romantic novelist lived to examine her - not always flattering - portrayal of clergymen. To God Be the Glory from Winchester Cathedral. Connie Fisher visits Jane Austen's home to find out more about how Jane's faith played a part in her writing and to see the very table where she wrote some of her most famous novels. Claire McCollum visits Bar Convent, the oldest living convent in York, which was established in 1686 as a girl's school. Here she meets a unique individual, Sister Agatha who not only is a central figure at the convent but also has an extraordinary story of the life she left to follow the faith. Rising Voices Recovery Choir is an initiative of Bristol Drugs Project. The choir is for recovering addicts and other closely connected to them. While the choir isn't faith-based, several members are Christians and explain to Josie d'Arby how the choir helps them and connects to their faith. Later this year will be the 200th anniversary of Jane Austen's death; Connie visits her grave inside Winchester Cathedral and also the beautiful plaque and memorial window. Louise West, from Hampshire Cultural Trust explains why the grave does not make reference to her writing and how, on the day of her funeral, it was a very small affair.